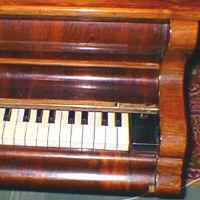 There are several features of Schweighofer pianos that distinguish them from other pianos: the hexagonal collar of the legs used through much of the 19th century and at the beginning of the 20th. 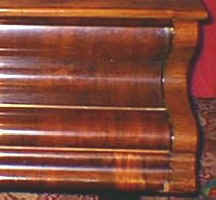 Another typical feature is the 2-piece folding lid. This list is not exhaustive and other variants may exist. Up to mid 19th c.
Late 19th to 20th c.